Antique Caucasian Daghestan prayer rug with floral lattice on an ivory ground. www.knightsantiques.co.uk Size: 4ft 5in x 3ft 8in (135 x 112cm). 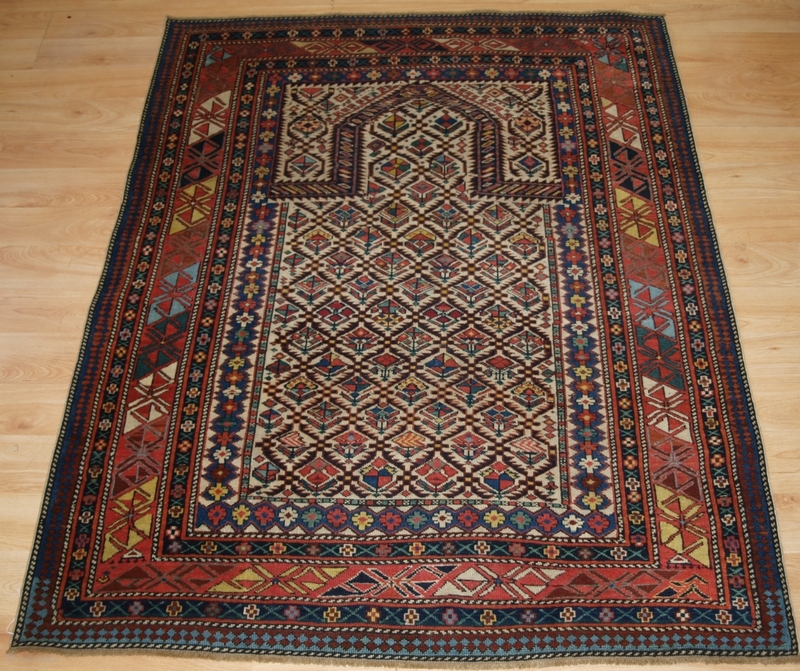 Late 19th century A superb example of this well known group of prayer rugs, this rug has excellent colour and is very well drawn. 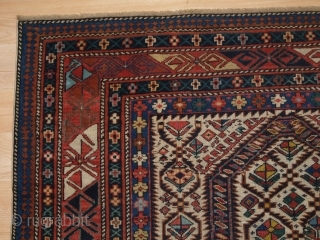 The rug has a classic main border and cross design to the guards; note the outer reciprocal border, this is not common at all on these rugs. 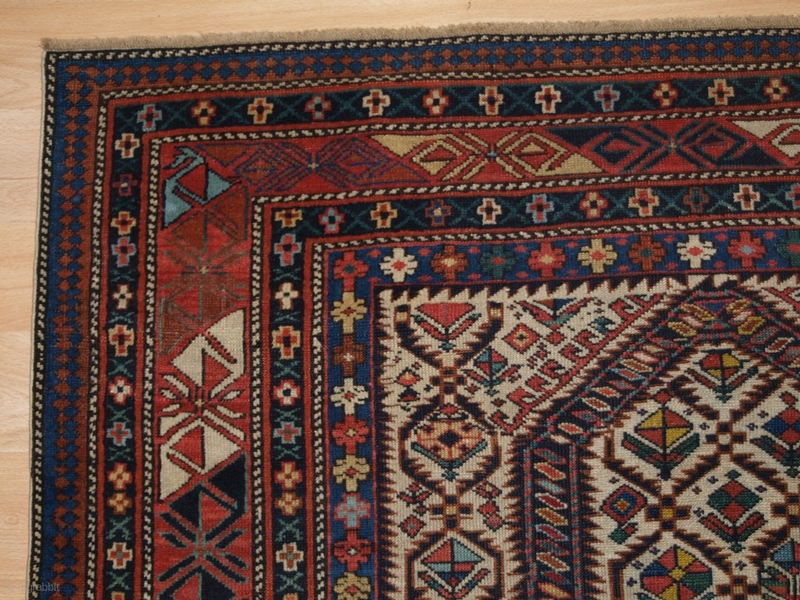 The rug has slight even wear, good pile. Hand washed and ready for use or display. Stock Number: r-1354.